A special motif is a wonderful place to begin when you are planning your wedding. Having a theme around which to plan will make it much easier to tie everything together and to make it a memorable affair. If you are looking for a wedding motif that is sweet and unexpected, consider using a bluebird. 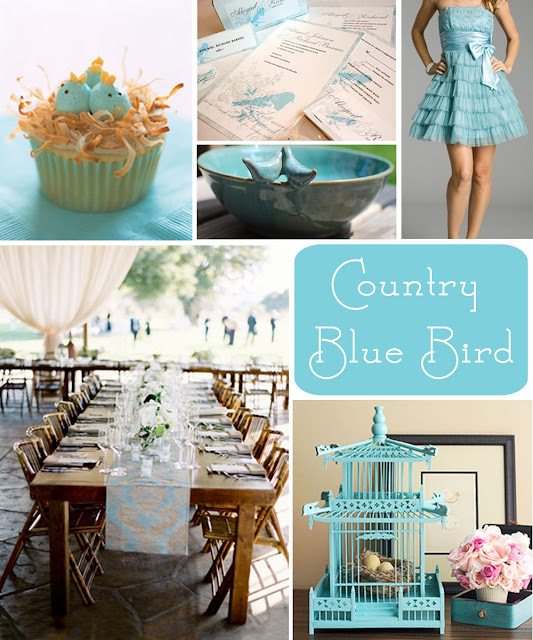 The bluebird is an adorable motif for a wedding. It is cheerful, a bit offbeat, and of course, blue, which is a favorite color of brides. There is also a great retro appeal to bird motifs, which can make a bluebird a nice choice for a couple who likes that vintage style. You will find that a little bird is quite an easy symbol to use throughout your wedding, as well. One of the best places to begin establishing a motif is with your wedding invitations. Look for letterpress stationery with a darling bluebird impressed off to one side, perhaps even perched on a picture of a branch. A nice rich brown color combines wonderfully with light blue, and would make an excellent color choice for the lettering. For the envelope lining, a brown and blue leaf pattern would be a fun reference to the bluebird motif, or you could go with a simple geometric pattern. There are many ways to use your sweet little bird in the rest of your wedding. The bride's bouquet could have a dainty little bird nestled among the blossoms. 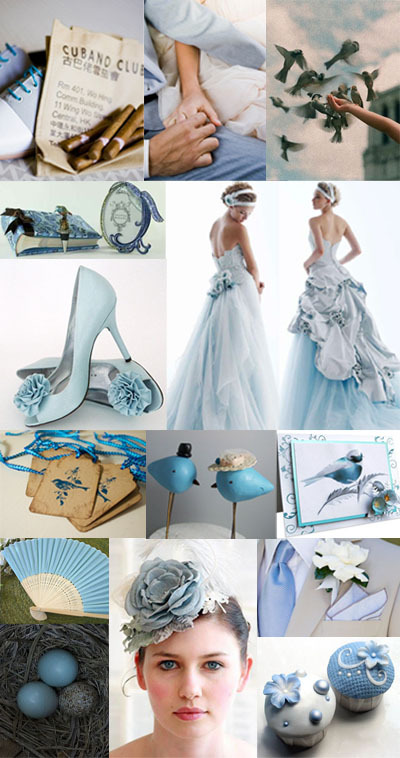 The pretty sky blue color of a bluebird would be lovely for bridesmaid dress and jewelry sets. Blue organza dresses with brown sashes would be perfectly complemented by sets of bridesmaid jewelry created from white freshwater pearls with blue Swarovski crystal accents. You will find plenty of chances to carry your theme throughout your reception, as well. Add a whimsical touch to your tables with little bird shaped napkin rings in either a pewter or bronze color. This would look very sweet with napkins in a fresh and pretty blue. It is this sort of attention to detail that really makes a wedding special. Unique table accessories are also a terrific way to add style to your tables without getting into the expense of custom ordered linens. Certainly the wedding cake is an ideal place to showcase a wedding theme. There are several approaches that you could take with a bluebird motif. One is to go with a retro-modern chic design of the flat silhouettes of bluebirds used on a smooth fondant cake almost as a graphic element. Or you could choose to be more literal, and have small three dimensional bluebirds created from gum paste to perch around the tiers of the cake. 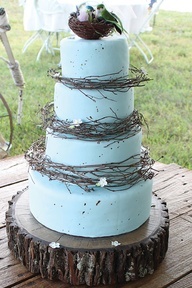 A branch design would look very nice on this type of cake, as would some sugar flowers. Don't forget to bring your motif into the wedding favors. The favor itself could be some sort of bluebird, such as a bird painted on a votive holder or a silver bird perched on a candle snuffer. If you prefer an edible favor, use a bird shaped gift tag tied to each package by a pretty organza ribbon. It is a very quick and easy thing to do yourself, and it will add the perfect dash of style to your favors. The bluebird of happiness would make a lovely addition to any wedding. As a wedding motif, it is simply charming, as well as easy to coordinate. A sweet little bluebird motif would be the perfect "something blue".